Unlock the full potential of the Maschine MK3 with this great value bundle, including the full Native Instruments Plug-in Suite - Komplete 1..
Unlock the full potential of the Maschine MK3 with this great value bundle, including the full Native Instruments Plug-in Suite - Komplete 12 Ultimate. Combining Native's most powerful beat production hardware and a near-infinite amount of synths, drum samples and presets to get stuck into, this is THE ultimate studio production package for the serious producer. That's right; when you buy a Maschine Mk3 or Maschine Studio you can download 5 expansions of your choice - normally worth £220 - absolutely free! The Native Instruments ecosystem provide the best of both worlds - intuitive hardware and a rich choice of software sounds - an incredible fusion between digital and analogue. 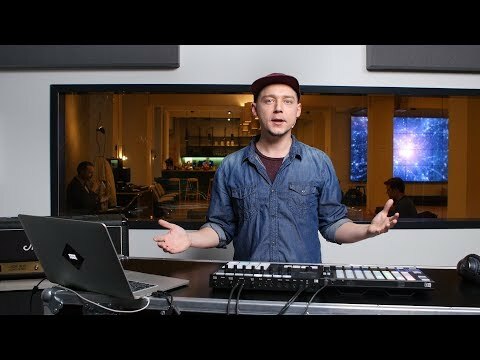 The Maschine gives you an amazingly fast, intuitive and enjoyable way of creating and performing tracks and beats, with its integrated hardware/software system providing you with a sampler, arranger, mixer, FX and a built-in audio interface. You’ll also find great functionality support with a range of popular music production software such as Logic, GarageBand, Ableton Live, Cubase Pro and Nuendo. 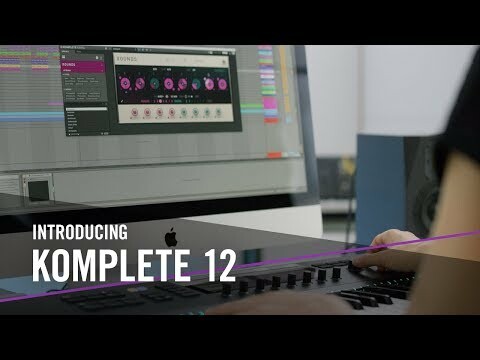 The KOMPLETE 12 Ultimate software gives you an amazing production suite with state-of-the-art instruments with studio-quality effects and everything you need to get your perfect sound.